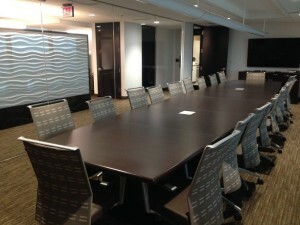 Collins Einhorn Farrell PC, a Southfield-based law firm, recently completed some extensive office renovations. 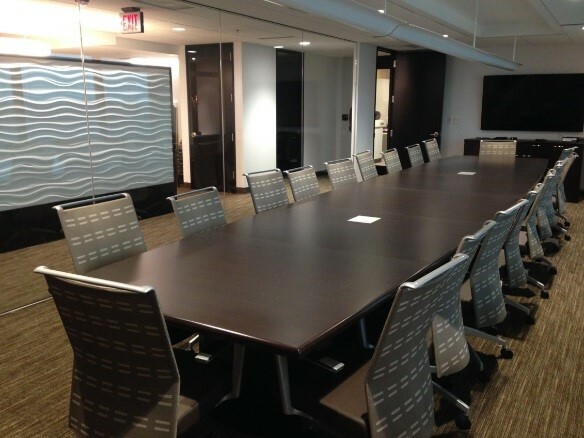 To accommodate their rapidly expanding legal staff the firm, located in the 4000 tower of the Town Center, updated their ninth floor office, in addition to adding space on the tenth floor. The firm specializes in several practice areas professional liability, general liability, insurance, environmental, fire and explosion, employment, workers compensation and appellate. The 42 attorneys and their clients now enjoy two new entrances, one on each floor, an elevator lobby waiting area featuring a “floating receptionist desk,” new security system/doors, passkey system, in addition to a refinished hallway, four new conference rooms with a large board room and expanded kitchen area. The focus of these renovations was to exhibit a progressive style that is open and welcoming while maintaining a professional atmosphere. This was achieved through a new open design, use of crisp colors, contemporary artwork and stylish furniture. The community response has been extremely positive and has “wowed” clientele. Collins Einhorn has been an integral part of the Southfield community for over four decades and continues to be a major resource to the city. 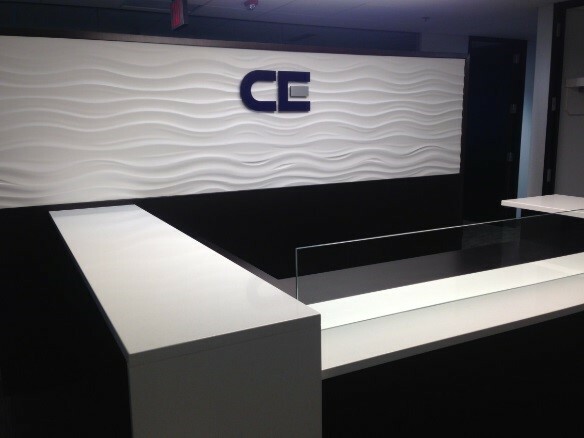 The “grand opening” of the space was an internal affair with a few special attendees such as Rochelle Freeman, City of Southfield Business Development Manager and the construction crew, ­­­Interior Space Management, that completed the work on the space. The team enjoyed hors d’ouevres and drinks catered by The Westin Southfield Detroit Hotel.